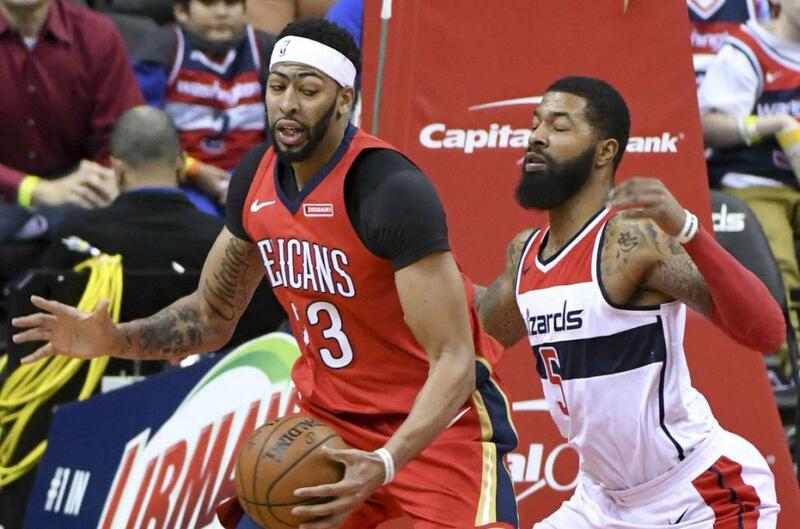 The Portland Trail Blazers haven't forgotten being on the wrong side of a first-round playoff sweep at the hands of the New Orleans Pelicans last season. That's why the Blazers have a little added incentive when they play host to the Pelicans Thursday night at Moda Center. "We have this game circled," Portland point guard Damian Lillard told reporters. "We'll have [last season's playoff series] in our minds when we play against them. But it's only going to be the eighth game of the season, and we can't get last year back." Center Anthony Davis, guard Jrue Holiday and forward Nikola Mirotic remain as stalwarts for the Pelicans (4-3), who lost 131-121 at Golden State Wednesday night for their third straight setback. The Pelicans have also added guard Elfrid Payton (to replace the departed Rajon Rondo) and forward Julius Randle to their nucleus. "They have a lot of length and athleticism, and they play hard," Lillard said. "You wouldn't trade [Davis] for nobody. He's a monster. We're going to have our hands full. It will be a tough game, but we're ready for it." New Orleans started the season 4-0 before Davis went out for two games with an elbow injury. The 6-foot-11 Davis came into Wednesday averaging 27.3 points, 13.3 rebounds and 3.8 blocks. "We just have to get back to playing Pelican basketball -- sharing the ball, getting back in transition," Davis told the media. "We need to get back into our rhythm." This will be the second of back-to-back situations for the Pelicans, who will be playing their fifth game in seven days. "The wear and tear on your body is tough for high-minute guys, but everybody has to do it," Davis said. "It's not an excuse for anyone." Payton (ankle) and small forward Darius Miller (thigh) have not played in the last two games and are questionable for the Pelicans. It will be a matchup between two of the top offenses in the NBA. New Orleans ranks third and Portland fourth in the league in offensive efficiency. The Pelicans are second (122.5) and the Blazers sixth (117.0) in scoring per game. Portland (5-2) returns home after a 3-1 road trip, which featured wins over Indiana and Houston. The Rockets were without reigning Most Valuable Player James Harden, who was sidelined with a hamstring injury. But the Blazers were pleased that they kept the foot on the pedal, building a 15-point halftime lead to 28 points in the third quarter. "That shows growth on our part," Lillard said. "We came out [for the third quarter] and jumped right back into it." Bolstered by the addition of free-agent guards Nik Stauskas and Seth Curry, and the emergence of second-year center Zach Collins, Portland's bench has become a force this season, ranking eighth in scoring production (42.1) and sixth in field-goal percentage (.487). "We've added a few pieces that are complementary to what we do," Lillard said. "It has made us a more mature, polished team."